The Man And The Mouse created their 'Pixel Mickey' image, inspired by our two favorite things while growing up - playing video games on the original Nintendo (NES) and going to Disney World, back in early 2014. Their vinyl stickers were left lying around The Walt Disney World Resort to be discovered by lucky park guests. Since then their work has organically grown to encompass a variety of graphic styles all with a Disneyfied slant. 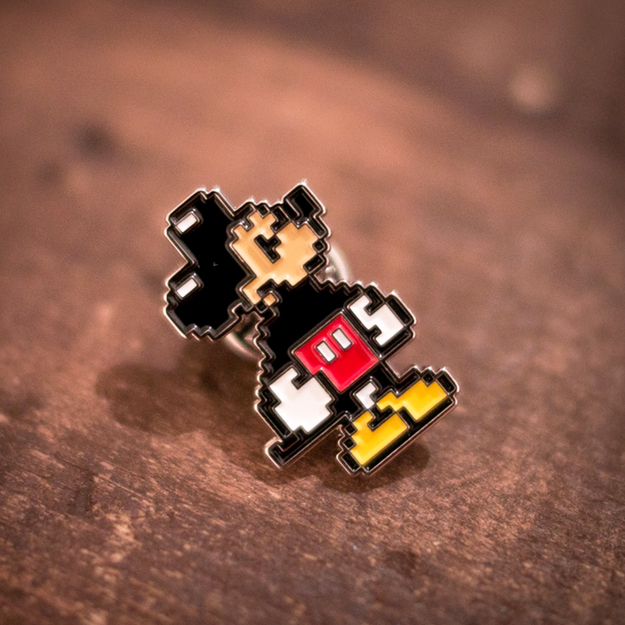 To celebrated where it all began, The Man And The Mouse have released a limited edition 1" 'Pixel Mickey' lapel pin. The pin is available now via The Man And The Mouse online store, priced just $9.00!